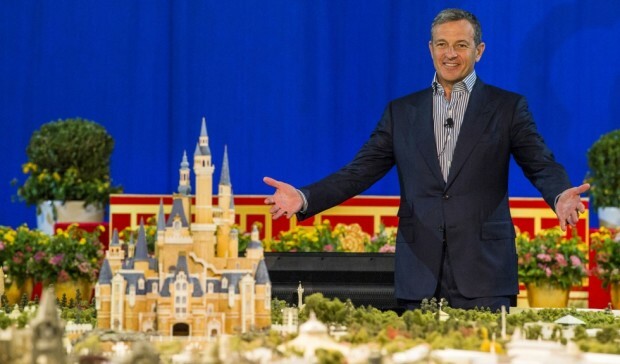 The Walt Disney Company has unveiled key elements of Shanghai Disneyland, including its six themed lands and live entertainment, many of which are a first for a Disney park. Disney Chairman and CEO Bob Iger revealed a scale model of the theme park and displays showcasing highlights of unique attractions, entertainment, dining and hotels at a presentation today at the Shanghai Expo Centre. 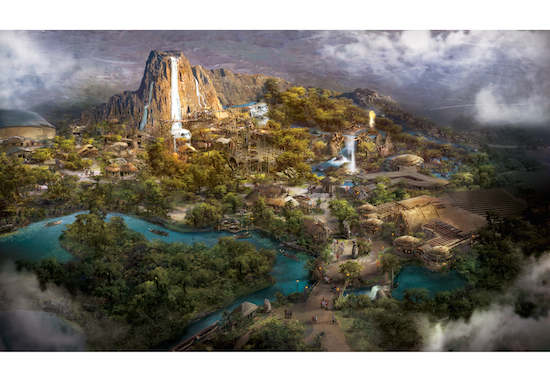 Shanghai Disney Resort guests will be immersed in popular Disney stories that come to life at the largest castle in a Disney park, at the first pirate-themed land in a Disney park, on the longest Disney Parks parade route and in more enchanting places filled with thrills, creativity and adventure. 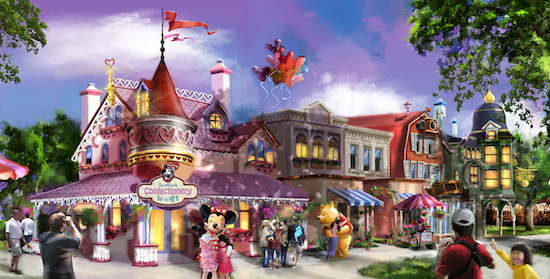 Mickey Avenue is the first main entry at a Disney park inspired by the colorful personalities of Mickey Mouse and his pals. In the neighborhoods of this whimsical avenue, guests will share a hug and get a photo with some all-time favorite Disney characters. 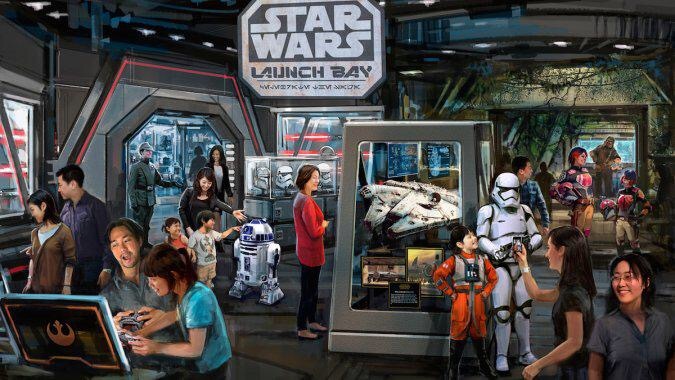 Avenue M Arcade, one of the many shops along the avenue, will feature the largest selection of gifts and collectibles inside the theme park. At the center of Shanghai Disneyland, the iconic Enchanted Storybook Castle will be the tallest, largest and most interactive castle at any Disney theme park. It’s also the first castle in a Disney theme park that represents all the Disney princesses. • Adventure Isle, a mysterious land, with an ancient legend about a native tribe, a giant, reptilian creature, and the mighty Roaring Mountain. 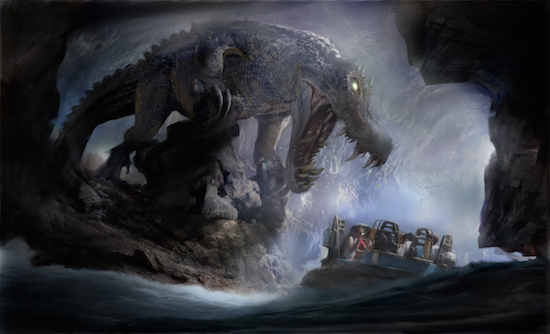 • Voyage to the Crystal Grotto, an enchanting, new excursion that celebrates classic Disney tales of magic and imagination as it travels the waters of Fantasyland, going underneath Enchanted Story Book Castle for a finale never before seen inside a castle. • Tomorrowland, a venue with an original design and new attractions to celebrate the hope, optimism and potential of the future, created especially for the people of China. • TRON Lightcycle Power Run, which promises to be one of the most thrilling attractions at a Disney park, with a twisting, turning track, high speeds, rich storytelling and a breathtaking view of Shanghai Disneyland. • Garden of the Twelve Friends, where animals of the Chinese zodiac are re-imagined as Disney and Disney-Pixar characters. 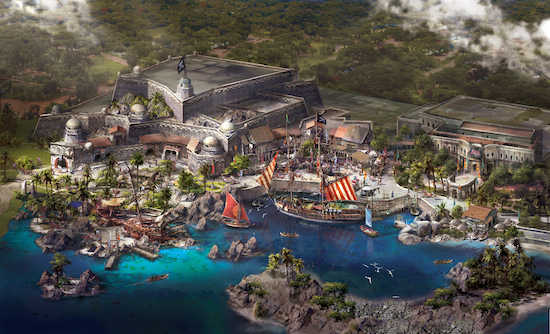 • Treasure Cove, the first pirate-themed land at a Disney park, leveraging innovative technologies in the new Pirates of the Caribbean – Battle for the Sunken Treasure and a stunt show spectacular featuring Captain Jack Sparrow. Since breaking ground in 2011, Disney and Shanghai Shendi Group announced that they were expanding the park by adding additional attractions and entertainment to allow more guests to have a spectacular Disney experience at the grand opening in spring of 2016. • Shanghai Disneyland, a theme park with six themed lands: Adventure Isle, Gardens of Imagination, Mickey Avenue, Tomorrowland, Treasure Cove and Fantasyland, with its Enchanted Storybook Castle. • Shanghai Disneyland Hotel and Toy Story Hotel, imaginatively themed and adjacent to the theme park. • Disneytown, an international shopping, dining and entertainment district, adjacent to Shanghai Disneyland and including the Walt Disney Grand Theatre, home to the first-ever Mandarin production of the Broadway hit Disney’s The Lion King. • Wishing Star Park, a central point of the resort with beautiful gardens, a walking path and a glittering lake. The Shanghai Disneyland Hotel is an elegant Art Nouveau-inspired resort with a touch of Disney magic and imagination, while the Toy Story Hotel immerses guests in a world inspired by the toys from the Disney-Pixar series of Toy Story animated films. 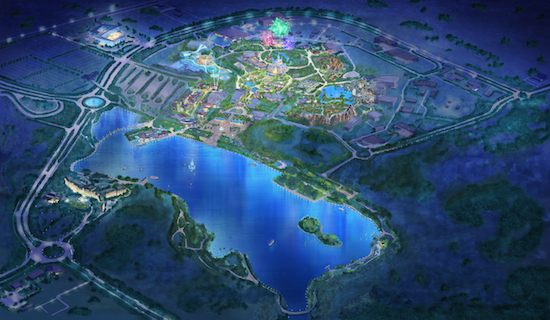 Near Disneytown will be Wishing Star Park, offering guests an opportunity to enjoy greenery and a glittering lake. It includes Wishing Star Lake, a 2.5-kilometer walking path and various beautiful gardens. 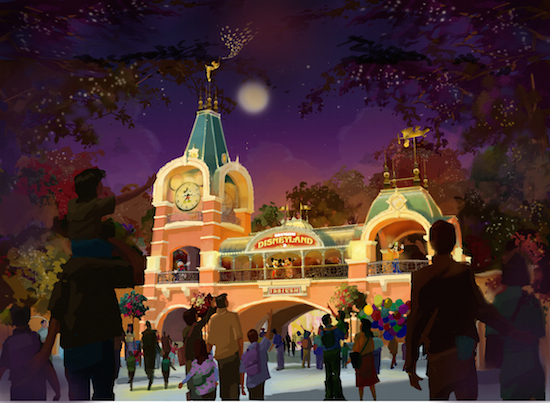 For information about Shanghai Disney Resort, visit the official website at ShanghaiDisneyResort.com.